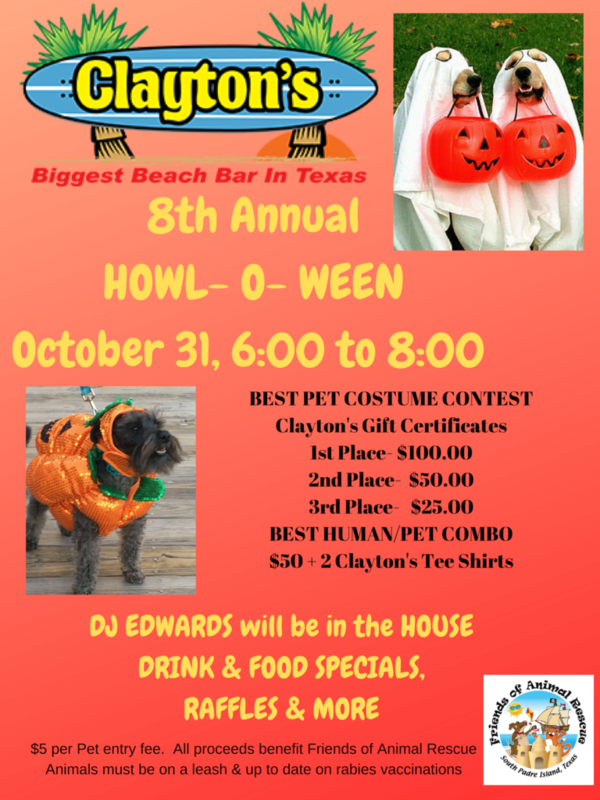 8th Annual Howl-o-Ween at Clayton’s , Wednesday, October 31 from 6 to 8pm. Pet costume contest. $5 entry fee per pet for contests with proceeds going to Friends of Animal Rescue.